Ford is Planning a Revival of the Mach 1! - Muscle Cars Zone! Ford is Planning a Revival of the Mach 1! Rumor has it that Ford shall return some oldies like Cobra and SVO with a S550 platform. Moreover, the US Patent and Trademark Office assures that Ford had submitted the trademark for “Mach 1“. The very first appearance of Mach 1 was in 1969. It appeared in between Boss 302 and GT. 1969 Mach 1 includes Magnum 500 wheels, matte-black hood with shaher scoop and chin spoiler. This led to the replacement of GT and settling of the same Mach 1 matte-black hood, turn signals and two hood scoops. The 2003 Mach 1 package include 4.6 liter V8 engine boosting 305 horsepower, some design updates and a specific badge. 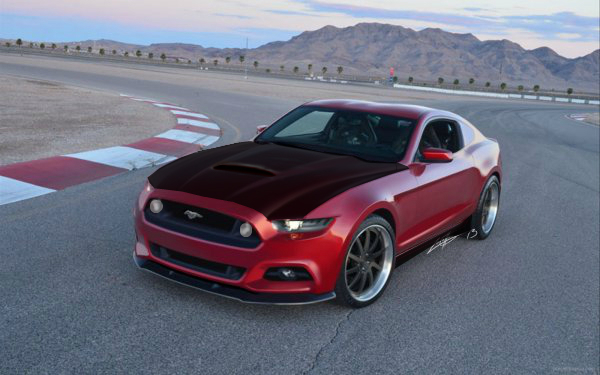 So, what`s left for us is to wait and see how the 2015 Mustang Mach 1 is gonna look like.